We finally finished Little Town on the Prairie. It was great. I was especially impressed and inspired by the part where Laura has to say her part in front of the whole town for the school exhibition or whatever it was called. Then she went to take her teacher’s exam. She had to recite the whole of American History from George Washington to Polk (I think). From memory, with only a picture of the president’s face on the wall to guide her. For her teacher’s exam, she had to do long division in her head. Then she “parsed sentences,” doing complex grammatical explanation of each word. I couldn’t have done any of those. Wow, what an education she had! I want my children to be able to think like that. Yes, she had memorized it, but she really understood American History, and she understood long division enough to do it in her head. Somehow I just hadn’t noticed that before. It made me raise my standards. Anyway, the rest of the book was great too. It’s nice that there’s a little romance in this one too, as she starts to spend time with Almanzo. I don’t mind a real romance story; it’s those made-up ones I don’t like. Character Lessons: Hard work (she worked in town and hard at her lessons), Sacrifice (she gave all her money to help Mary go to college), Not speaking badly of others (shown through a poor choice Laura made). 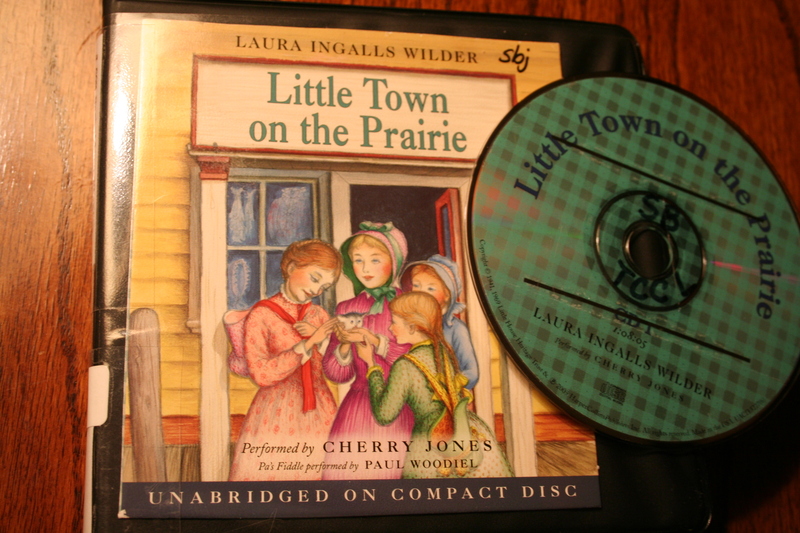 NOTE: I was just looking up in the actual physical book who the president was that Laura ended with, and I found a part I don’t remember on the CD. It’s a whole part about a minstrel show that is in the chapter called Madcap Days. I was pretty shocked, just now, to see that in there. It’s blatantly racist. I don’t remember that even being on the CD. I wonder if that whole chapter was taken out or if somehow I missed it. Anyway, be aware that that’s in there and you’ll want to talk to your kids about it, just like Ma’s derrogatory comments about Indians. I explained that that’s how it was then, but that doesn’t make it right. And it might have been edited out (rightfully so) on the CD version.